The Ontario government has lowered the cost of payday loans from $18 to $15 for every $100 borrowed. The Ontario government has lowered the cost of borrowing from payday lenders and has given municipalities more control over where lenders can set up shop. Starting Jan. 1, the maximum cost to take out a payday loan in Ontario was lowered to $15 for every $100 borrowed. The rate has been decreasing over the past few years. In 2017 it was brought down to $18 from $21 for every $100 borrowed. According to the province, the change means a loan of $300 would require an additional $45 fee, which means the total to pay back would be $345. In 2017 it would have been $354. Typically people have to pay back their loans within two weeks, however it varies depending on negotiations with payday lenders. Rideau-Vanier Coun. 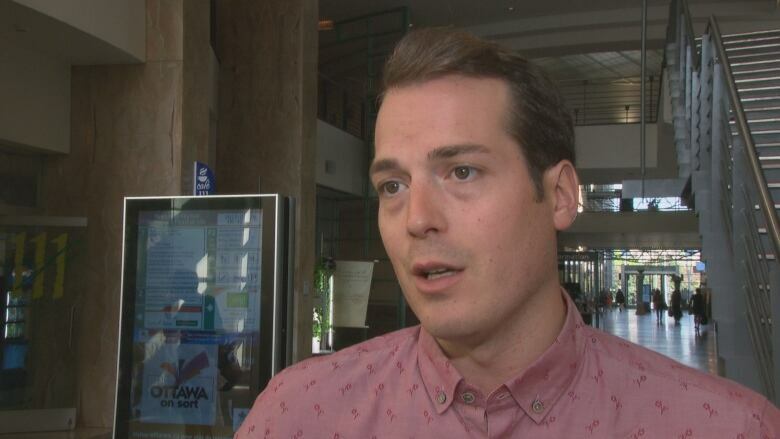 Mathieu Fleury has been pushing to limit the number of payday loan establishments in Ottawa, especially in low-income neighbourhoods. He added that along with lowering fees, Ontario has also given municipalities more control over zoning, which could limit new payday loan stores opening up in the future. "I think anything makes a difference. I think just recognizing that there were challenges with the industry and it needs to be regulated," Fleury said. In April 2017, the Ontario government passed Bill 59, known as the Putting Consumers First Act. Under this law, the government not only lowered the fees for payday loans, but also gave municipalities more authority to limit the number and location of payday lenders in their jurisdictions. The bill gives the city the same type of authority it has under the Municipal Act, which gives the city control over zoning establishments such as strip clubs, Fleury said. The city is currently undergoing a zoning review, and a report is expected later in the spring. "The thing about zoning rights is that they only look forward," Fleury said. This means payday lenders that are already set up are 'grandfathered in' and won't be affected by future rules. However, Fleury hopes it will prevent new ones from popping up. "It really prays on our most vulnerable [people] in many different ways. You would be surprised the amount of folks who require a loan and can't get it through the bank," he said. Someone who knows a lot about the vicious cycle of payday loans is Robbi McCall, who works with Ottawa ACORN, an organization that advocates for social and economic change. At one point McCall was so deep in debt that he had to take out four different payday loans just to keep up with the payments. The additional fees on top of his loans made it hard to pay off, especially because he was on a fixed income. "The anxiety and depression at the end of month, knowing that you have to pay them back ... I was stressed to the point that I had to talk to my doctor about my anxiety. I didn't want to get out of bed. It was truly an awful situation to be in," McCall said. The new changes are a start but it's not enough, he added. 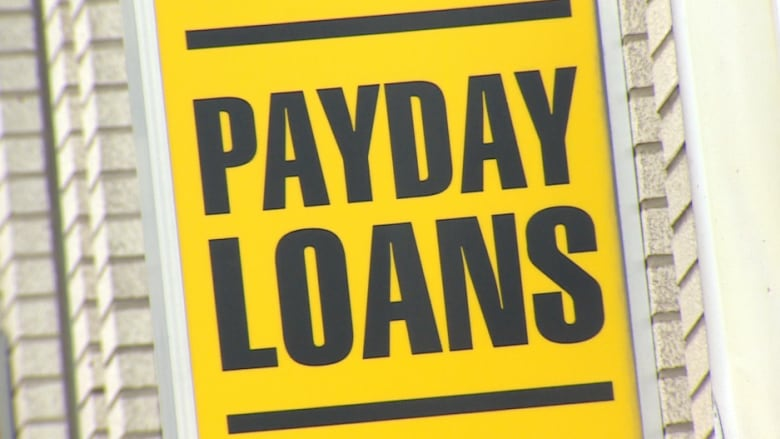 He wants a system in place to keep track of how many loans people are taking out from payday lenders, which would help stop the vicious cycle of borrowing from one lender to pay off another. On top of that, he said it should be easier for people to take out loans from banks and faster for them to cash in government checks. Finally, McCall said that if people do decide to turn to payday lenders, the rates to borrow should be lowered even further. The Ontario government will be implementing even more changes starting July 1. Lenders cannot lend people more than 50 per cent of their net income per loan. Lenders must show the cost of borrowing a payday loan as an annual percentage rate. The maximum fee that cheque-cashing services can charge for government-issued cheques is $2 plus 1 per cent of the value of the cheque, or $10, whichever is less. Lenders will also have to give customers the option of an extended payment plan without penalties.